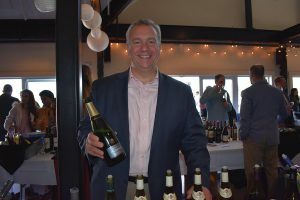 Slocum & Sons hosted its annual 2018 Spring Trade Tasting at Stony Creek Brewery in Branford on April 11. 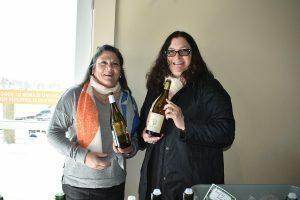 The event featured a variety of fine wines, along with select spirits and sake. 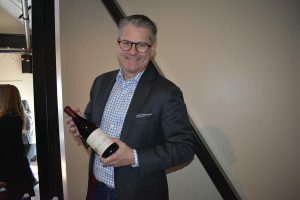 New wines debuted at the show included Tuck Beckstoffer’s Hogwash Rosé, Cooper & Thief Sauvignon Blanc 2016 and natural and biodynamic wines by Louis/Dressner Selections. 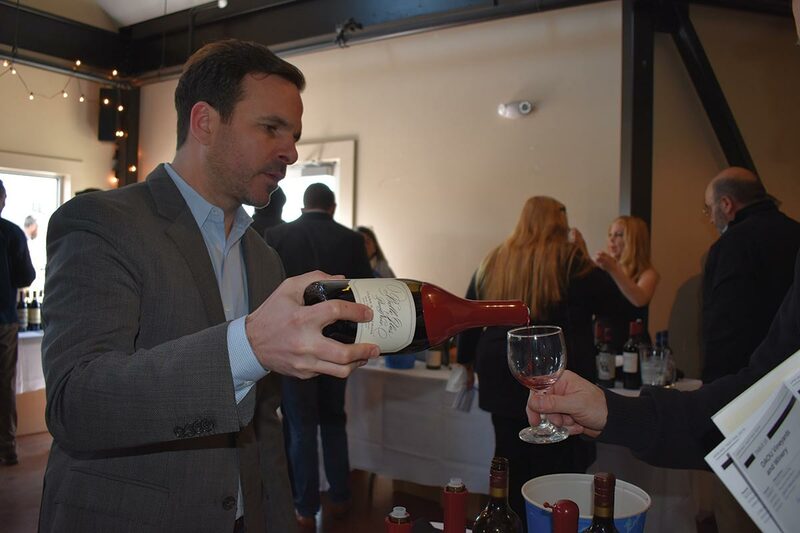 Sales representatives and suppliers were on hand to discuss portfolio offerings with guests. 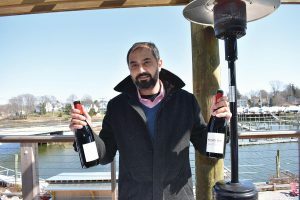 The event was catered by Assaggio of Branford. Josefa Concannon, National Sales Manager, Louis/Dressner Selections and Gia Pascarelli, Senior Brand Manager, Slocum & Sons. 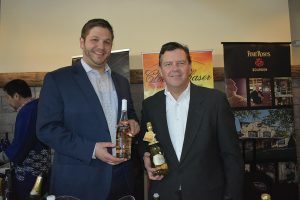 Albion Alley, New England Area Manager, Sovereign Brands and Kevin Hickey, Regional Sales Manager, Sovereign Brands. 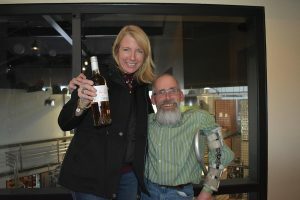 Kristin Kolk, Northeast Regional Sales Director, Tuck Beckstoffer Wines and Toby Slocum, Salesman, Slocum & Sons. Sunny Rajvansh, Sales Representative, Slocum & Sons. 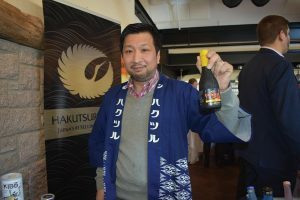 Masahiro Fukuda, Eastern Regional Manager, Asian Specialty, Sake One. 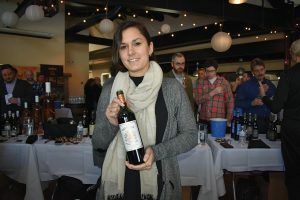 Celine Della Ventura, East Coast Manager, Compagnie Medocaine des Grands Crus. 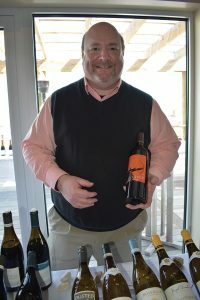 Brian Scott, Eastern Regional Manager, Saintsbury Winery. Blake Gilbert, Northeast Regional Manager, Copper Cane Wines, pouring Clark & Telephone Belle Glos Pinot Noir. 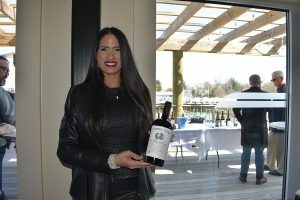 Kimberly Acker, Brand Ambassador, Vine Ventures, with Cooper & Thief Cellarmasters Red Wine Blend. 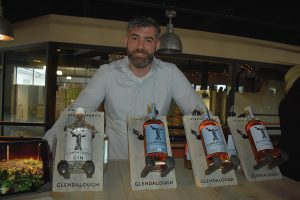 Donal O’Gallachoir, Co-owner and Brand Manager, Glendalough Distillery. 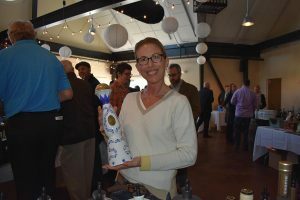 Lynda Kesselman, Northeast Regional Manager, Chopin Imports, with Clase Azul Reposado Tequila. 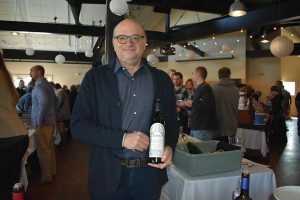 Stephen Klein, Vice President of Sales, Daou Vineyards. 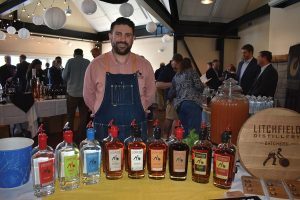 Dimitrios Zahariadis, Brand Ambassador, Litchfield Distillery. 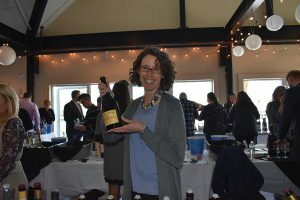 Danielle Keating, Northeast Regional Manager, Duckhorn Vineyards. 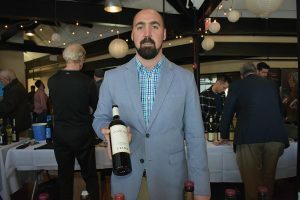 Ethan Hunt, Regional Manager Northeast & Mid-Atlantic, Domaine Henoit. 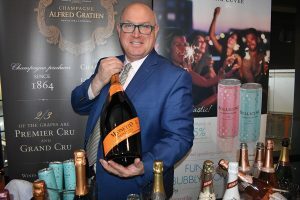 Douglas MacLeod, Regional Manager, Mionetto Prosecco. 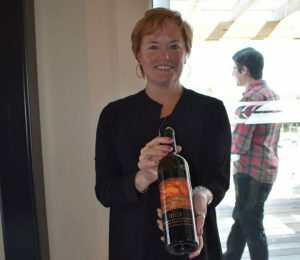 Kate Cassidy, Northeast Regional Manager, Della Terra, with Vecchia Modena Cleto Chiarli e Figli. 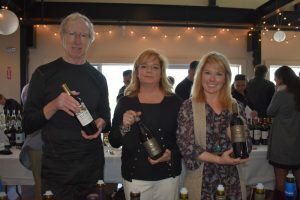 Bob Kiely, Brand Ambassador; Casey Jones, Events Manager; and Nicole Frechette, Brand Ambassador; all with Vine Ventures for wines from Hess Family Estates. 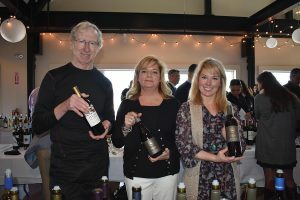 Bob Kiely, Brand Ambassador; Casey Jones, Events Manager; and Nicole Frechette, Brand Ambassador, Vine Ventures with wines from Hess Family Estates. 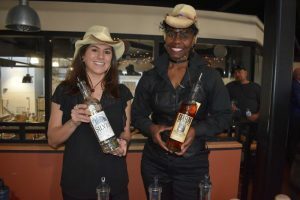 Jacky Skelly and Trayce Santoro, Brand Ambassadors, Vine Ventures with High West Whiskey. 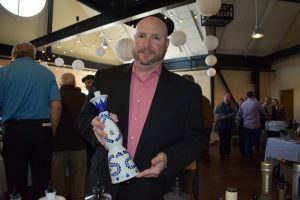 Brendan Welsh, Sales Representative, Sloucm & Sons with Clase Azul Reposado Tequila. 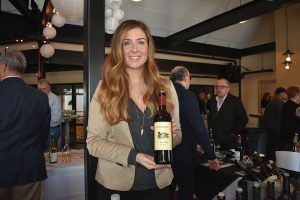 Nicole Ciani, Southern Sales Manager, Haus Alpenz. 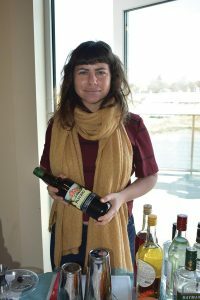 Maura Connolly, Owner and Co-founder, Mad River Distillers, with Mad River Resolution Rye. 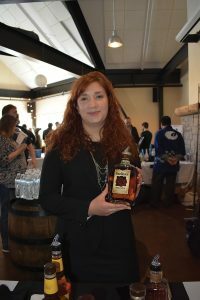 Jerusha Torres, Four Roses Bourbon. Peter Yanulis, VP of Sales, Rex Hill. 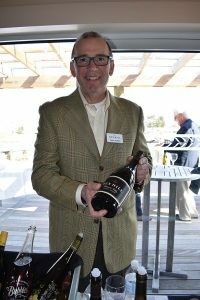 Bruce Cole, Regional Director, MA, RI, ME, NH, CT & VT, Dreyfus Ashby and Co., with Ulysses Napa Valley 2013. 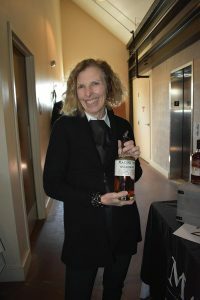 Christine Patrick, Ferrari Carano Representative.